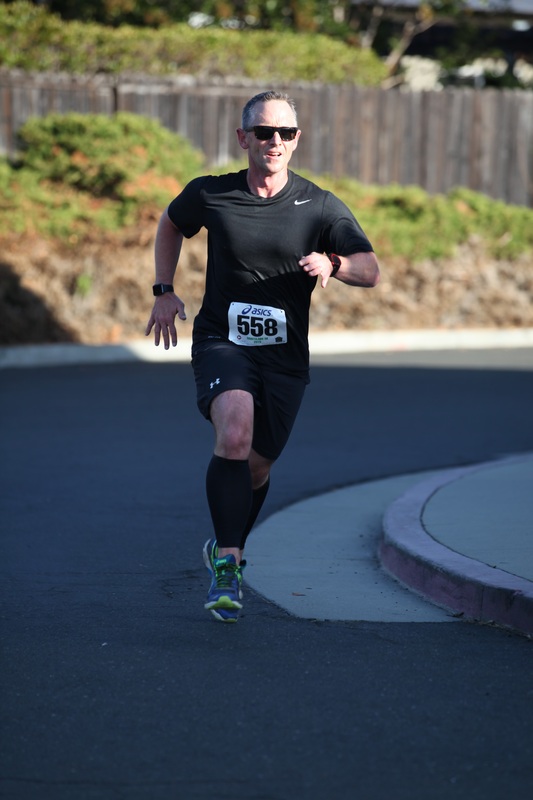 Weekly update: 37 races, and the nearly $43k raised! We’re still close to $43k raised for the GBS/CIDP Foundation. Fundraising has stalled — we’d love you to help get us moving again! But we’ve been running, and we’re getting closer to on track for 52 races this year! Weekly stats: 83% of the way to our fundraising goal, and 71% of the way to our running goal! Well, fundraising has been slow. I’m scheming up ways to get it moving again, and I’d love your help in making it happen. But with less than $10k to go to reach our goal of $52k this year, I’m supremely full of confidence that we’ll make it before December 31. Running is nearly back on track. 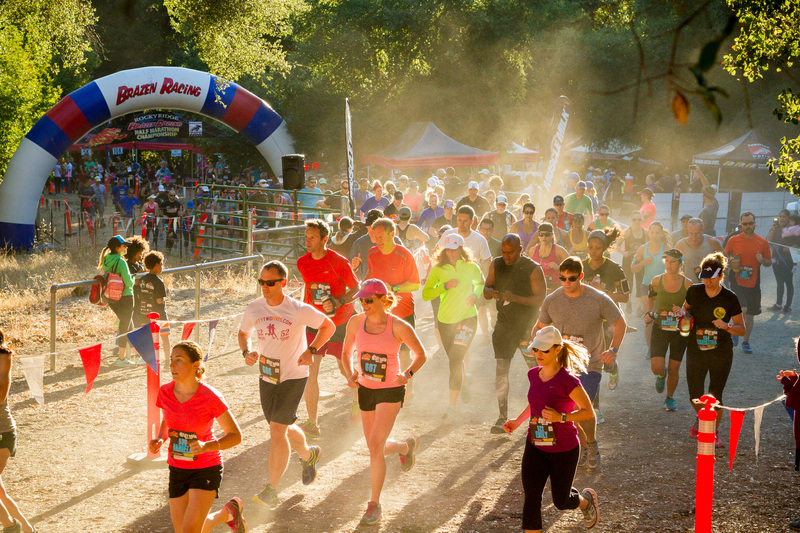 There are 11 weeks to go this year, and we’ve got 15 races to run to reach our goal. We’ve sometimes run two or three races a weekend in the past few weeks, and we’ve got two more planned this weekend. We’ll get there! If you’re interested in our progress here are the reports for the Awesome 80s race (#31), the Moonlight 5k (#32, in the dark! ), the 5k9 with our dog Buddy (#33), the Trailblazer 5k (#34), the Rocky Ridge 10k (#35, probably the toughest this year! 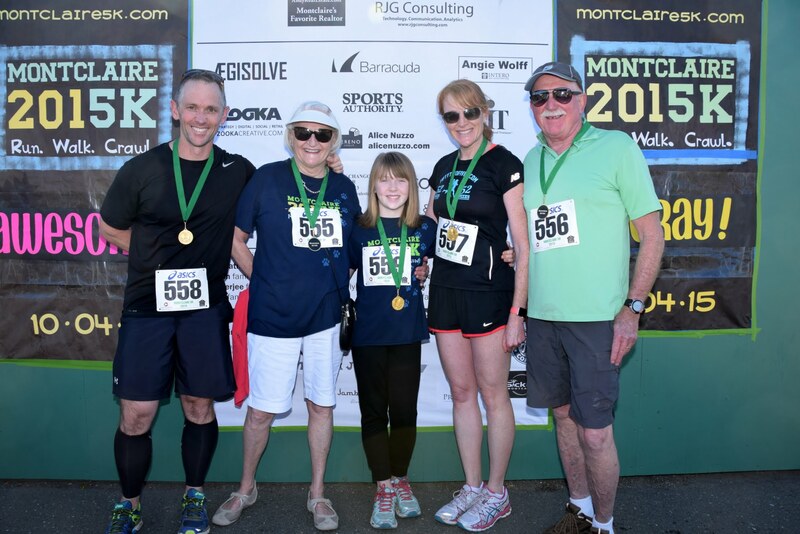 ), the Montclaire 5k (#36), and the Rescue Run 5k (#37). We took a vacation to the southwest of Colorado this week, and hiked for several days around the mountains. But the week wouldn’t be complete without another race in our journey to 52 races to raise funds and awareness for the GBS-CIDP Foundation. 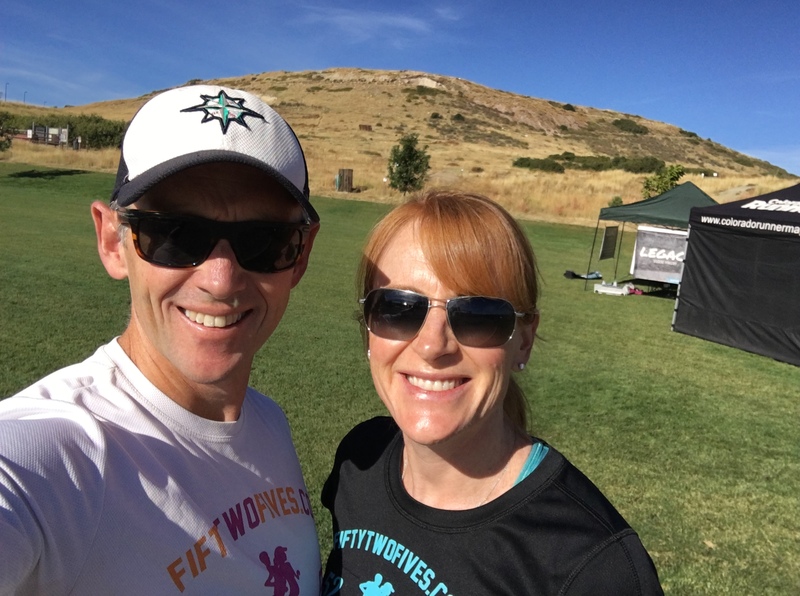 We found a small race near Castle Rock, Colorado, and decided it fit the bill perfectly for race 37. The Rescue Run 5k was a fundraiser to rescue orphans, and made for a good cause and an interesting Saturday morning. The race started innocently enough in a park. Then, it wound its way uphill over a 350ft climb onto the top of the hill in the center of the Rhyolite Regional park. From there, it was a run around the top for a mile and a half, and then we retraced our steps down the hill to the finish. I’m not sure whether it was the elevation of 6200 feet, the 250 foot climb, the 80F / 27C weather, or all three, but it was sure a tough race. Selina and I were both wiped out at the end, and spent the rest of the day rehydrating, eating, and sitting around. In any case, I’m sure glad it wasn’t a 10k race! That’s 37 races in the history books, and only 15 to go to reach our goal! Yes! See you next time. The race started with a single track, undulating cruise through woods, and short return back down a fire road. And then the fun began — a 1,000 foot climb over 1 mile up onto the aforementioned Rocky Ridge. I always say to Selina that “Williams’s don’t stop”. The reality is I’ve probably walked maybe six times since 1992, and usually for pretty good reasons; there was the time I’d given blood and that other time when I was dizzy and the world span. Well, make that seven times — there’s no way I could run that 1,000 ft climb. Once we were up on top of the Rocky Ridge, the views were magnificent. The fog filled the valleys, and a gorgeous day spread out in front of us. If I wasn’t so darn keen to get the race finished, I’d have taken a photo or three. You’ll just have to use your imagination. The end result was (as usual) Selina won her age group, and I didn’t. I’m pretty sure I was 4th in mine, and power to the guys who beat me! We’ll be back running this one next year — in fact, I think I’ll retire from running road races and stick with the trails in 2016. Q. What do you do when you’re a few races behind your goal, and you’ve run a brutal 10k trail race the day before? A. 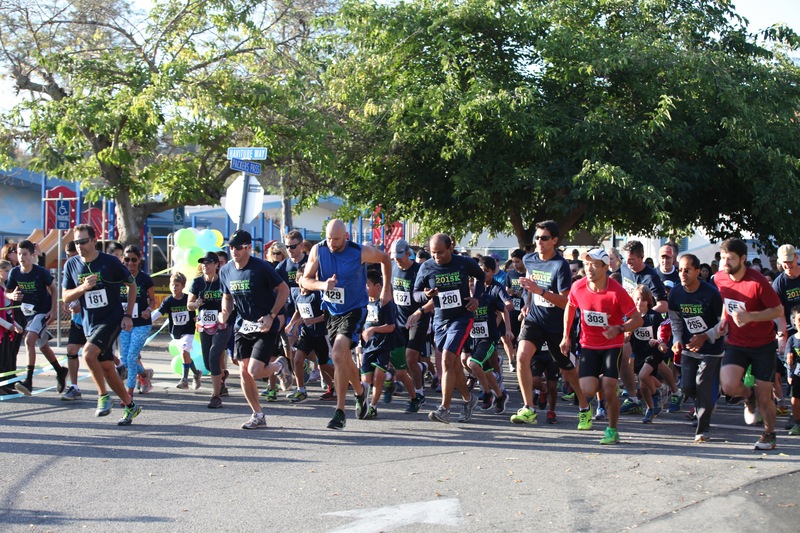 Run a fundraiser 5k race at the local elementary school! 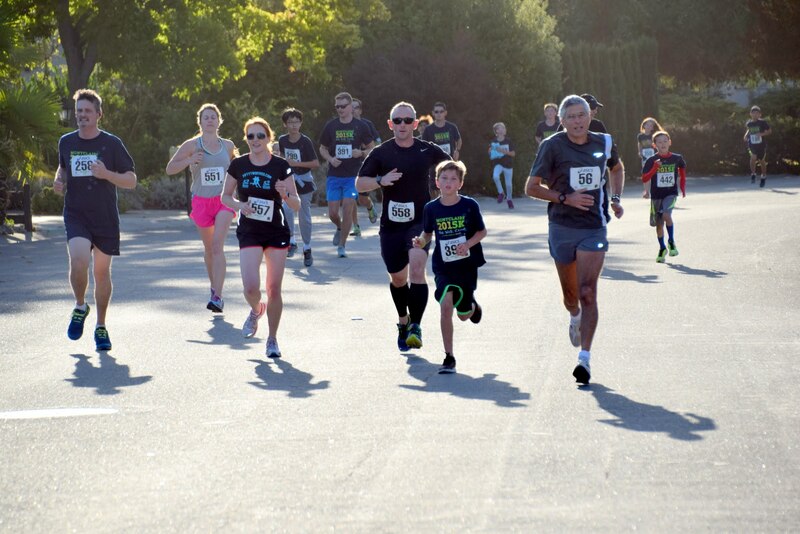 And so we ran the Montclaire 5k in Los Altos as race 36 on our journey to running 52 races in the year to raise money for the GBS-CIDP Foundation. 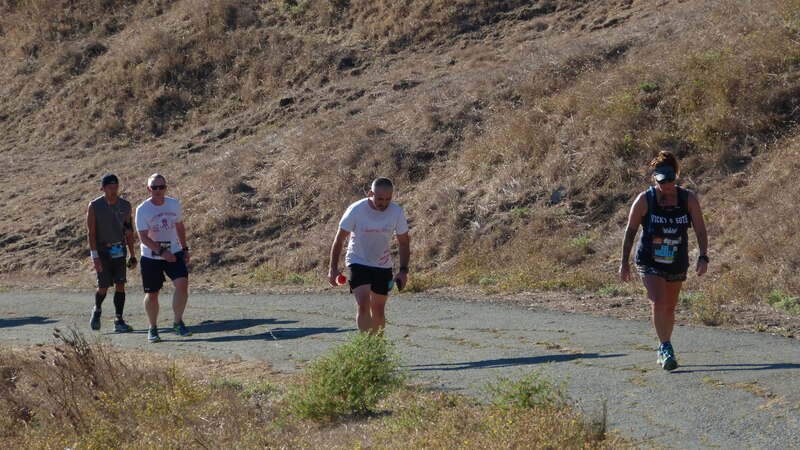 It’s a great little race: a run around the streets of Los Altos, and a short sojourn into the magnificent Rancho San Antonio preserve. We took along Selina’s parents and our daughter Rosie, and all three were definitely (and defiantly in Rosie’s case) in the walking category. Selina and I intended to just cruise along, but you know how that sometimes goes — a slow first mile, and then the accelerator goes down. Selina was the first female. Really, can the girl stop winning? And I guess I was in the top ten guys. This wasn’t a competitive race, and we probably should have just been enjoying the day like everyone else. But, hey, we’re competitive with ourselves, and that’s what happens.